...and your tools will look after you. So goes the saying and anyone who's spent a small fortune on a specialist tool - be it a hand tool, piece of test gear or a lighting desk - will tell you that it's true. This is probably why we see such a variety of means of storage as customers visit us for repairs or we go on site to do work - everyone understands the principles but not everyone can afford the storage they'd like. 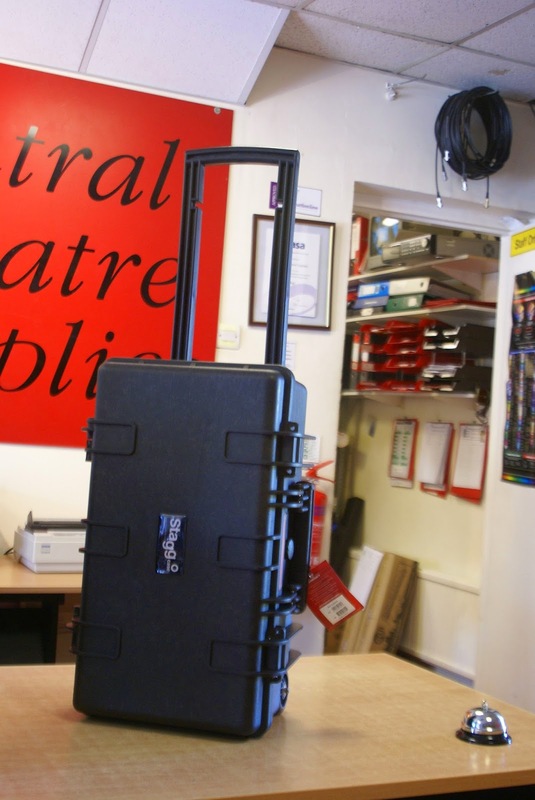 Jeff from Stagg began to tease us with a 'Peli style' case earlier this year by showing us pictures on his computer and then last month he actually turned up with some product and some literature and the cases are as impressive in the 'flesh' as they looked in the pictures. They're made from a Glass Reinforced Plastic so should withstand being bounced about in a car (or a school) with some substantial latches to keep them closed. 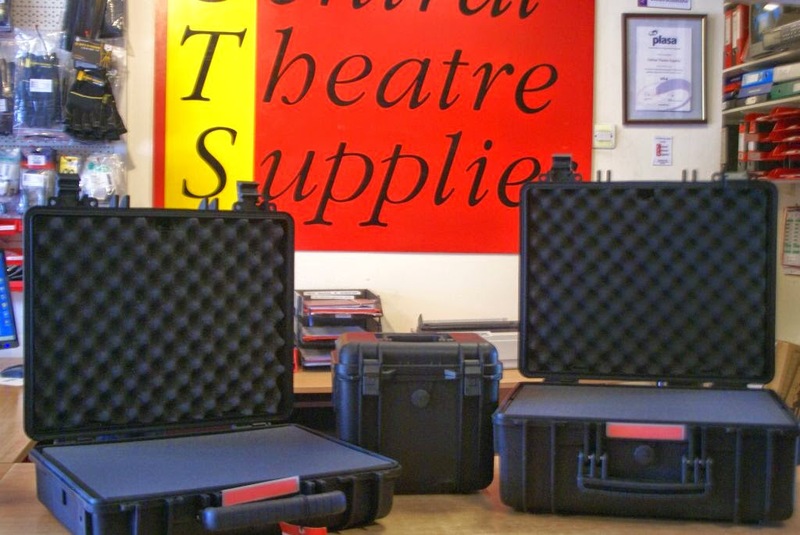 The interiors are fitted with a pre cut foam system that allows you to shape cut outs to hold your equipment secure. To cap it all - the cases are IP67 rated (the numbers are explained here) but essentially the case is dustproof and will withstand immersion in water up to 1m deep!! 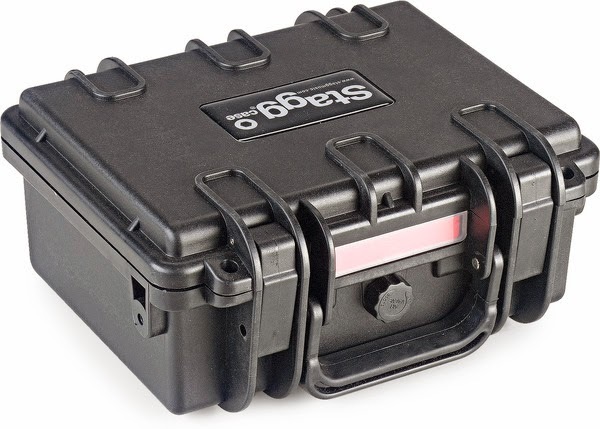 There are 14 cases in the range in total starting at the smallest which is 193x127x135mm internally all the way up to 1138x351x133mm - whatever you need to protect, we're sure there's a case to suit. 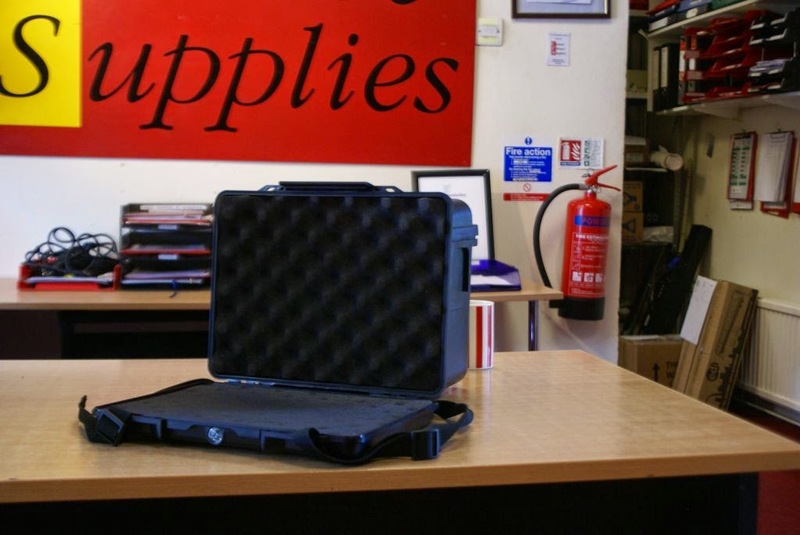 Jeff was on his way back from BPM and called in with his range of sample cases so we could see them close to - this isn't the whole range but it gives a better idea of what's available.
. We've listed some of the cases on our online shop here and so far we only listed the ones that we think would be most use to our customers. 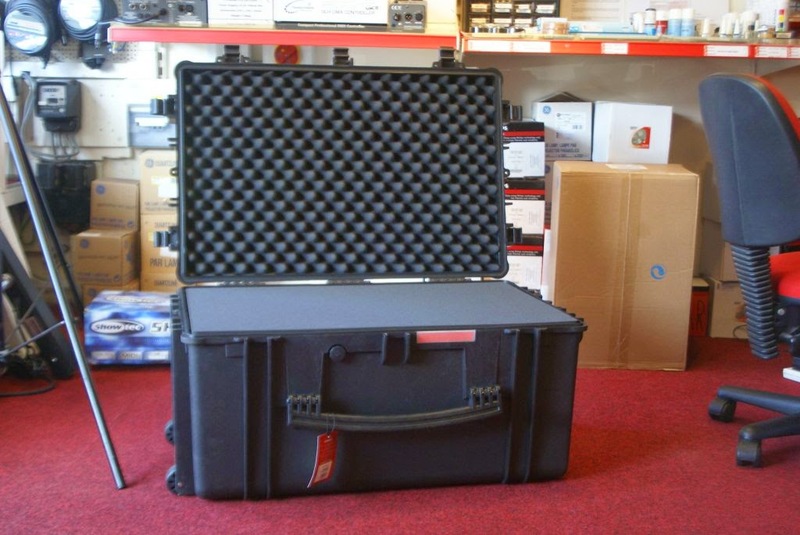 The largest case that Jeff bought with him was really huge, we're not sure what you'd use it for but the case looks as though it would protect almost anything! If none of those we show are the sizes you're looking for then give our Sales Desk a call and we'll look up a price. 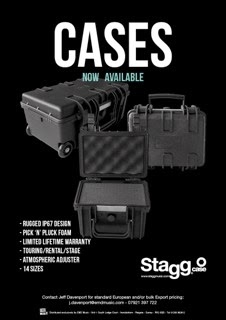 If you want to browse the whole range, then they can be found on the Stagg website at this link here.